Variable-Speed Motor: Because it runs longer at a lower speed, the variable-speed motor provides more consistent temperatures throughout the home and allows for extra quiet operation. Quiet Performance: Extra quiet and smooth blower on and off cycles. Durable: Features a galvanized steel jacket coated in a polyester-urethane finish that resists corrosion. 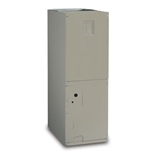 The Maytag B6VMAX air handler provides exceptional comfort, performance and energy efficiency -- 13-16 SEER when paired with Maytag air conditioners and heat pumps. Dependable Corrosion Protection: Superior corrosion resistance is achieved through the use of Micro-Channel coil technology. 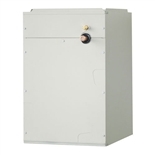 Match Indoor and Outdoor Components: Talk with your contractor about proper system matching before settling on a unit. 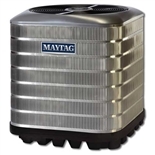 Air handlers that are properly matched with the right air conditioner or heat pump and indoor coil can help maximize the efficiencies of your complete system. Match Your Specifications: The C7BHMO coils comes horizontal ready for installation flexibility. The horizontal-ready C7BHMO indoor evaporator coil completes your central cooling system. 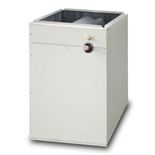 It sits on top of your gas furnace and works with your air conditioner or heat pump to cool your home when the summers get hot. It also includes enhanced technology that resists corrosion better than traditional coils.